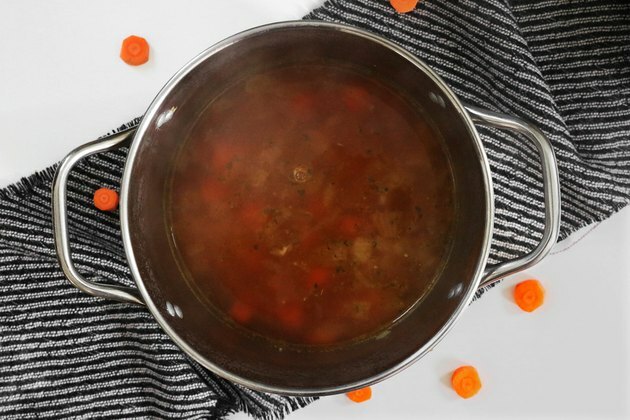 During the cooler months, there's nothing like a hot bowl of soup to soothe your soul. But instead of reaching for the canned stuff, why not make it from scratch? 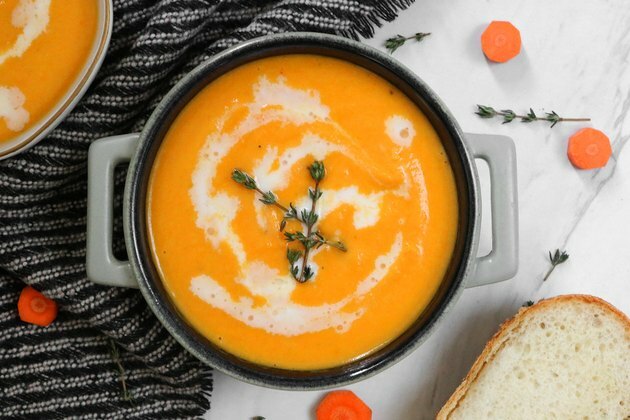 You can start with an easy recipe like this cleansing ginger carrot soup. 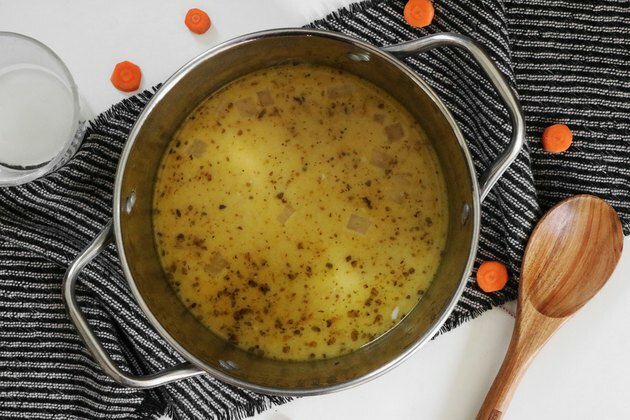 In less than an hour, you'll have a rich and creamy soup that's both healthy and flavorful. To top things off, this recipe uses coconut milk as a base, so it's perfect if you don't eat dairy. Ready to make it yourself? Check out the full tutorial, below. For a stronger ginger flavor, add an extra tablespoon of minced ginger. You can also add 1 teaspoon of ground turmeric. Don't be afraid to experiment with your favorite spices! In a large pot over medium heat, warm the oil. 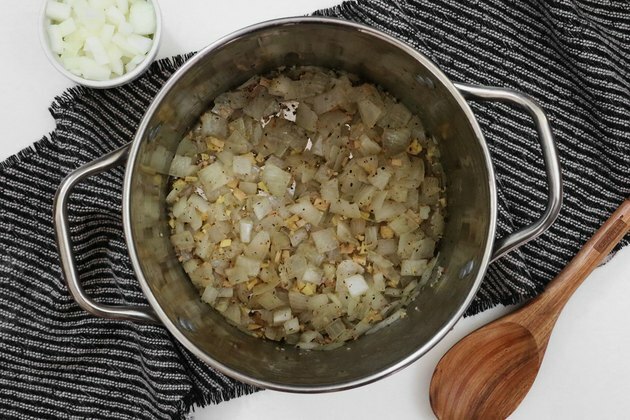 Combine the onion, garlic, ginger and spices. Cook until the onion is clear, about 7 minutes. 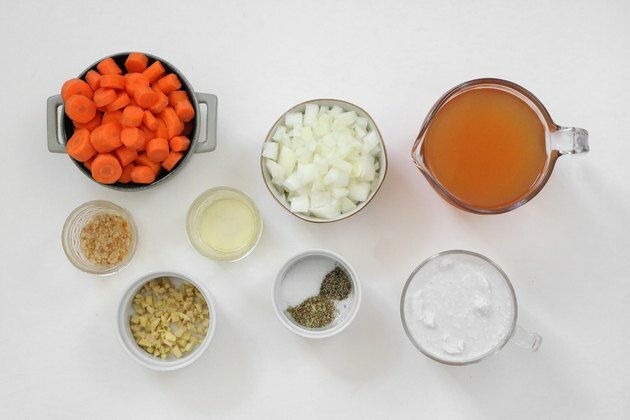 Add the carrots and vegetable stock. Bring to a boil. Reduce to a simmer. 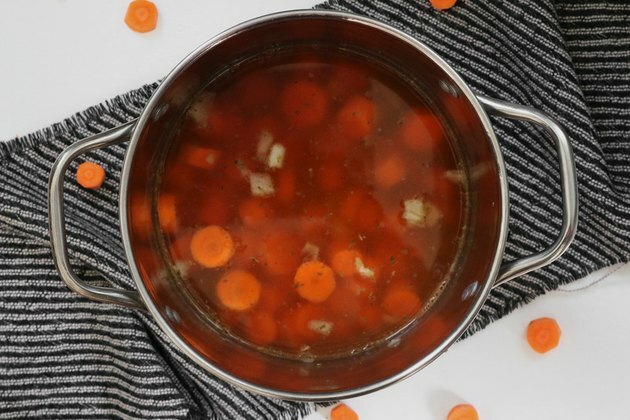 Cook for 20 to 25 minutes, or until the carrots are soft. You should be able to slice them easily. Add the canned coconut milk and mix well. Let cool. Using a food processor, puree the mixture until smooth. 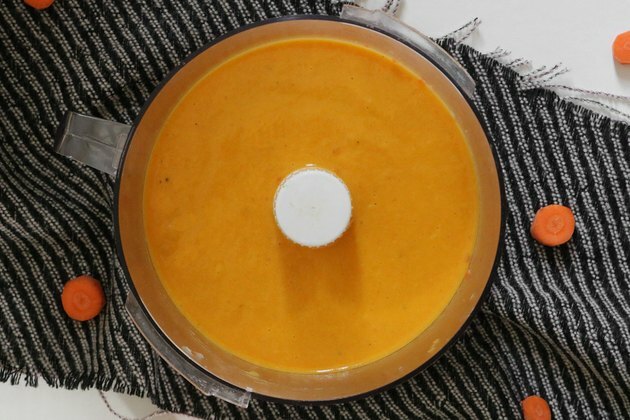 You can also puree the soup in a blender, in batches. Return to the pot and warm over low-medium heat. Serve with fresh herbs, croutons and a swirl of coconut milk. Don't forget a book and blanket, too!